Worked on project locations throughout the Pacific Northwest, West Coast and SW region of the USA. 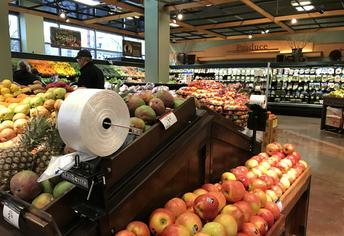 Grocery stores provide a unique set of challenges as each department requires special attention to not only creating a comfortable environment for its occupants, but also for the food and products offered in each of the various locations in the store. Keeping a well balanced air system is key to making a grocery store function. 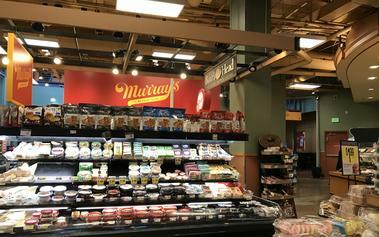 High ventilation loads from large hoods in the deli and bakery departments typically exceed minimum outside air requirements required by the occupants so conventional wisdom of installing CO2 sensors as a way to control ventilation doesn’t really work in the grocery store setting. New store designs included utility coordination with local civil engineering firms, providing structural requirements to support HVAC equipment and large pipe runs, working with national account vendor to select rooftop units, kitchen exhaust hoods, fire suppression system schematic plans and design criteria. Plumbing systems including grease interceptors, RO systems and misting systems. During construction, site visits were conducted to review rough in work and perform punchlist documentation.